Kevin Winter/Getty ImagesAtari co-founder Nolan Bushnell arrives at Video Games Live at the Hollywood Bowl on July 6, 2005 in Hollywood, California. 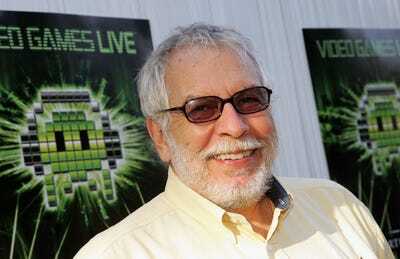 One of Atari’s co-founders and most prominent faces, Nolan Bushnell, was set to get an award at this year’s Game Developers Conference. Following backlash citing Bushnell’s history of conduct at Atari, specifically with regard to female employees, GDC has rescinded the award. “I apologise without reservation,” Bushnell said in a statement on Wednesday. Atari co-founder and prominent video game industry icon Nolan Bushnell is most well-known for having helped create “Pong” – one of the most important and influential games ever made. Bushnell was scheduled to receive a “Pioneer Award” at the prestigious Game Developers Choice Awards this March at the annual Game Developers Conference. That award has now been rescinded amid backlash to the choice. The awards were announced on Tuesday. By Wednesday morning, the GDC 2018 page announcing the award had disappeared. Soon after, a new page appeared without Bushnell’s information. And then, on Wednesday afternoon, Bushnell himself offered a statement on Twitter regarding the change. It’s unclear how many people voted for the award that Bushnell was awarded, or how the group who chose him wasn’t aware of Bushnell’s past. He’s widely credited as a driving force in the history of video games, and no doubt was an early pioneer of the medium. At the same time, Bushnell has been repeatedly quoted making salacious remarks and having been involved in questionable acts – one such moment from Atari’s history involves Bushnell and another executive inviting a female coworker into a hot tub for a meeting.